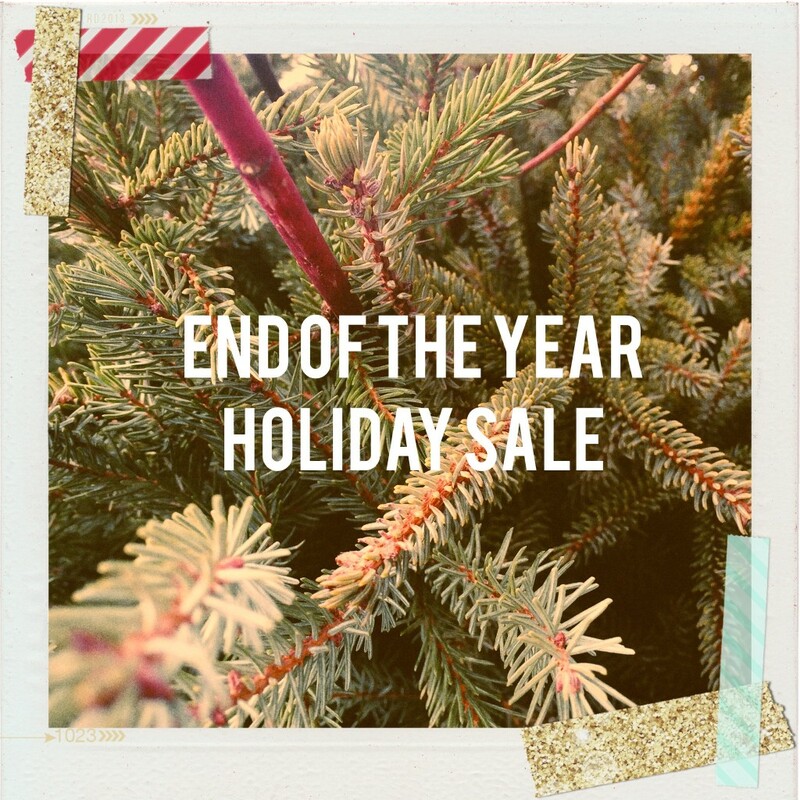 Our End of the Year Holiday Sale is going on now!! 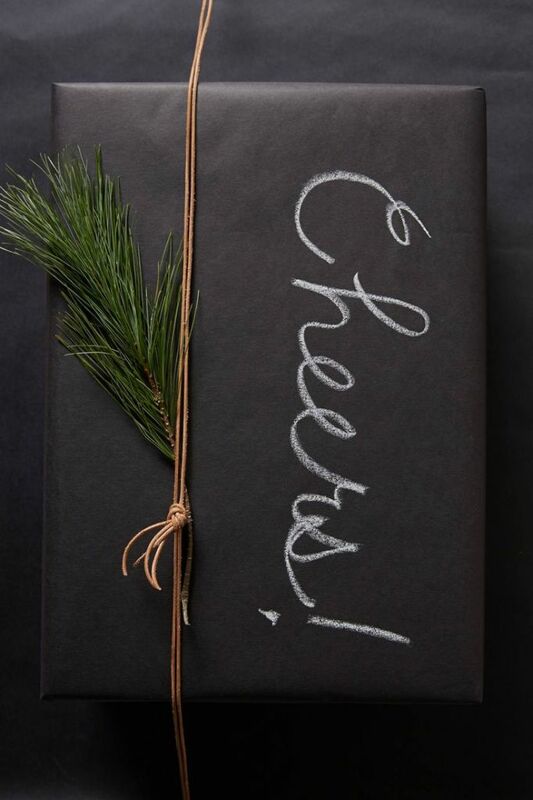 Check out the Holiday and Calendar paper goods this week, with prices marked 40-50% off thru Friday, January 2nd. Be smart, think ahead and tuck these holiday, paper beauties away until next year while you count off the days with a new calendar you never received this holiday season. While the greens begin to fade, go on and treat yourself! It snowed last night in my hometown and the world has become a quieter place. Perfect timing I’d say. After all the energy we put into the holidays, a bit of slowing down is much needed, at least in our house. I’m not suggesting we don’t give end-of-the-year celebrations their due, but perhaps we’ll end 2014 with a reflective, thoughtful spirit. 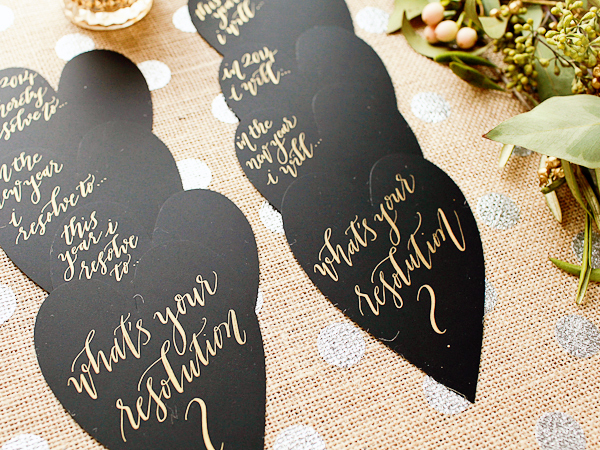 If you’re gathering folks on the 31st, these DIY written hearts from Oh So Beautiful Paper may inspire a few New Year’s intentions or at least ignite conversation among guests. I love a good house cleanse and these smudge sticks will do the trick. 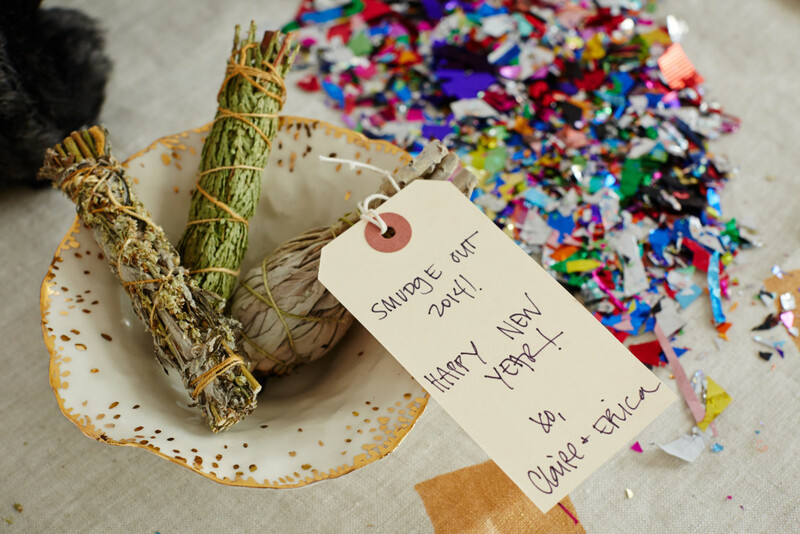 Write a note to your guests, welcoming 2015 as they may clear out any negative energy from the past year. Thanks for the idea, Of-a-Kind ladies. 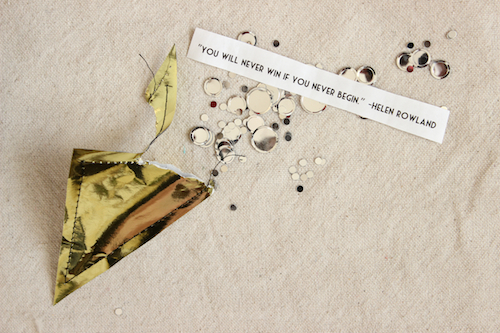 These inspirational New Year’s Eve Confetti Fortune Pockets from Design Sponge are gorgeous and a completely playful DIY idea, a perfect party favor to kick off the new year. 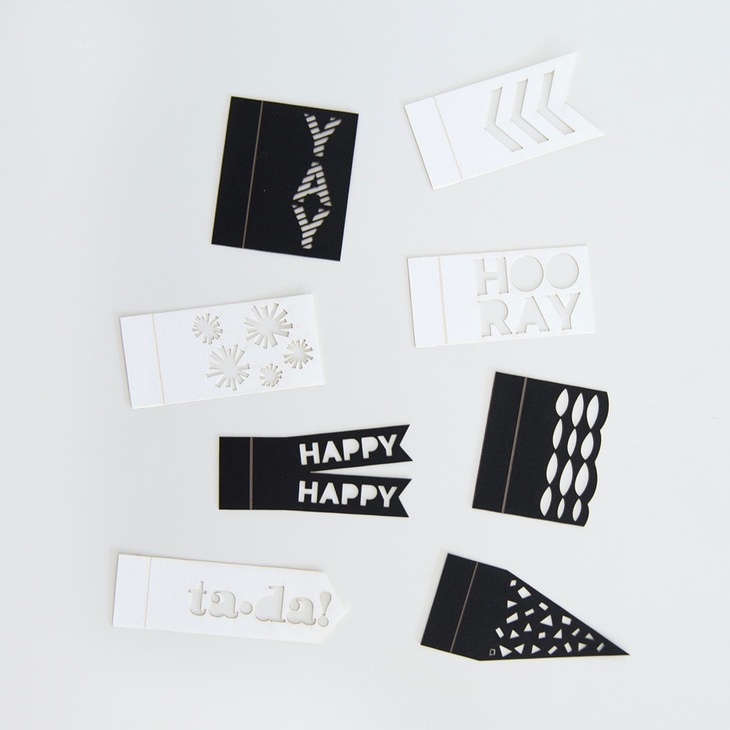 If you’re looking to pick up party decor for New Year’s, head to Red Stamp for all your paper needs (And fabulous digital invites since it’s a bit late for paper. Shhh, I didn’t they say that!). Although I love a good party, I welcome a clean slate even more – (Wow, you’d think I was a bit of a bore, although my husband will remind me I’ve gone out dancing twice into the wee hours just in the past week! I know, every so often I’m crazy like that.). 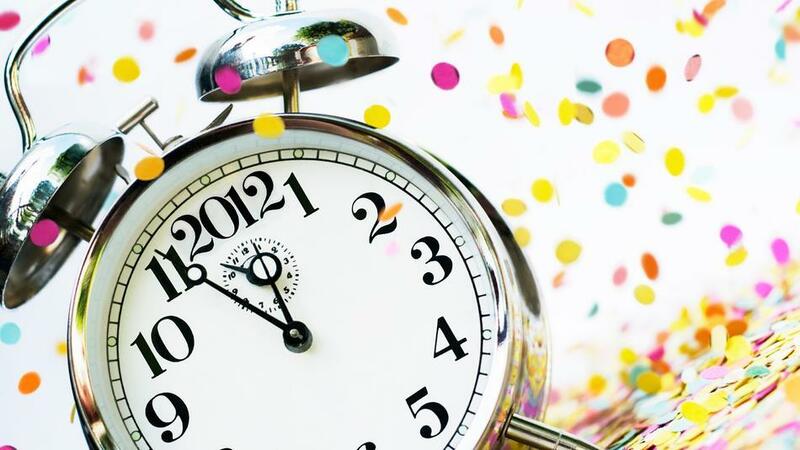 The new year brings a clean calendar, it provides one a moment to breathe, take note, and forces a certain reflection of how we are walking through life. Now having two kids in grade school, bringing family into a conversation about resolutions is appealing. The always inspiring Gabrielle Blair from Design Mom created an idea on how to involve your children during this time of reflection. Her family keeps a journal which they open around the New Year, where they include their daydreams and goals, providing a simple format to see where they have grown over the past year. I may give it a try myself…at the moment our children are floating somewhere between the sledding hills, Christmas gifts and multiple holiday-break-movie-nights. Although they may not fully understand the idea of “becoming better people” through New Year’s resolutions, as Gabrielle suggests, perhaps the process of handwriting their intentions will reinforce the idea they actually have a bit of a say over their own direction in life. Here’s to a beautiful 2015 – A year of more writing, reflection, and knowledge of oneself. As for me, I plan to include a few more boogie nights to keep me young! Cheers. We got ’em. 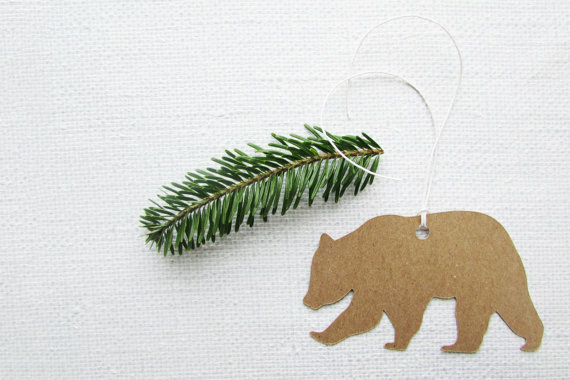 A few more ideas to help cross off those last minute holiday gift needs this week…. I love a good pencil set. 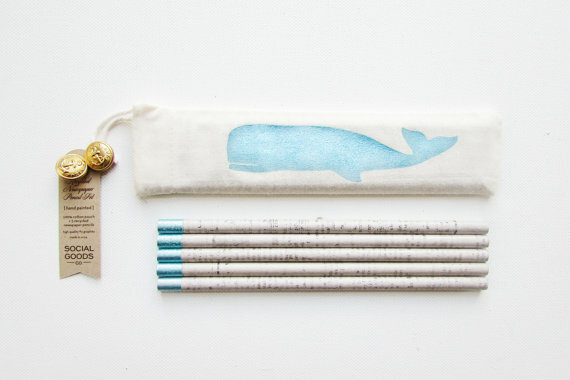 This eco-friendly Pencil Pouch & Recycled Newspaper Pencil Set from Social Goods Co includes 5 pencils which, once sharpened, reveal a beautiful marble-like pattern. Did you hear? 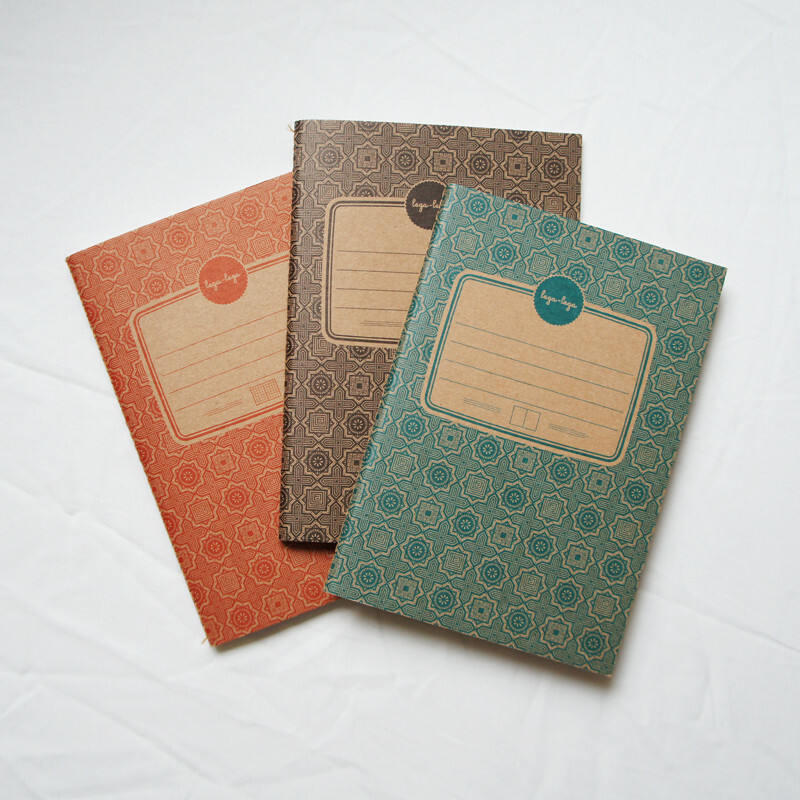 Pocket journals are the new, hip alternative to jot down notes these days, be it ideas to share later or to keep a secret. 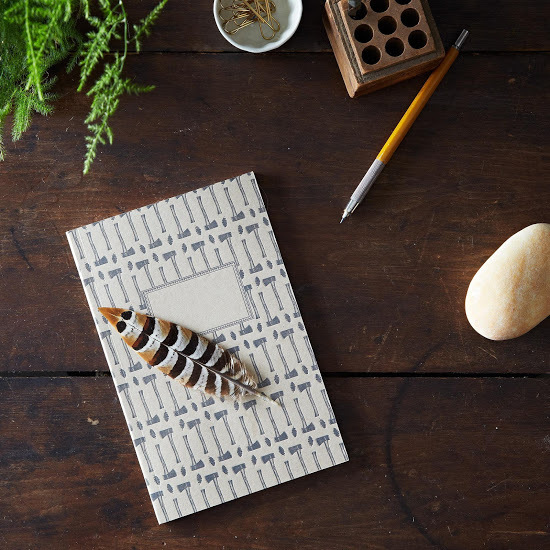 Your sidekick will rock the trend with this three journal set from imogene + willie. Throw in one of their pencil cases while you are at it! Although the masses love to rely on their Smart Phone calendars to get them through the day, the old-school paper calendars were a hot item at this year’s National Stationery Show – and I think they make the perfect gift for teachers, mothers-in-law, or those who appreciate the written way! 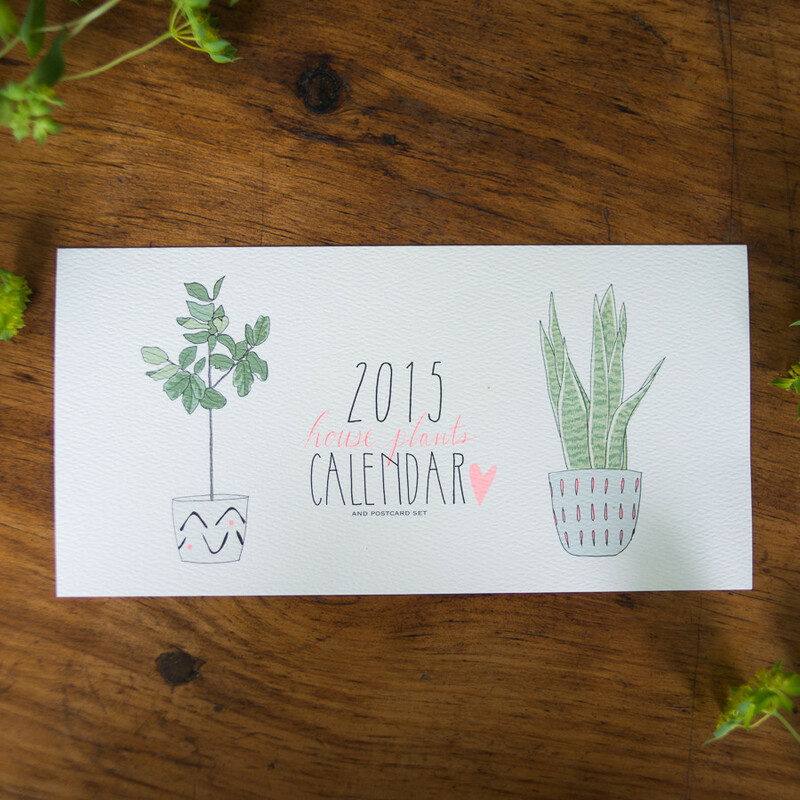 My favorite new calendar of the year, from the talented Emily Johnson at Hartland Brooklyn, is the House Plant Calendar which doubles as a beautiful postcard set. In my mind, there is no sweeter gift than a monogrammed stationery set. 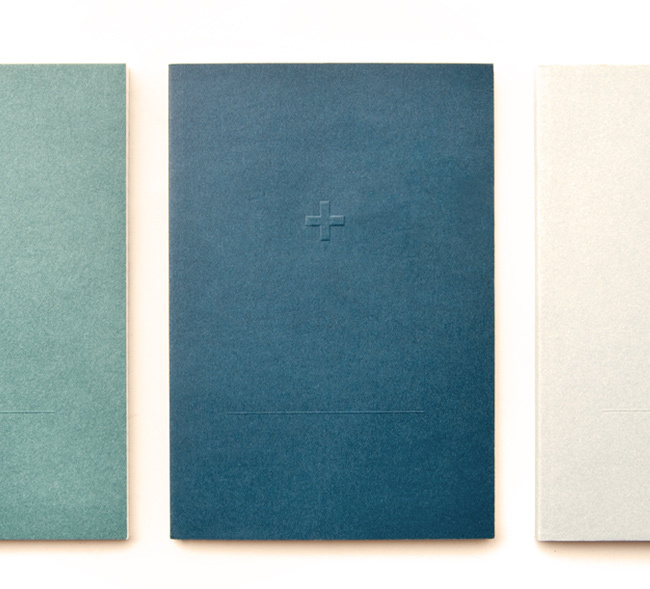 Head to Sugar Paper for a few gorgeous options to gift the writer in your life. 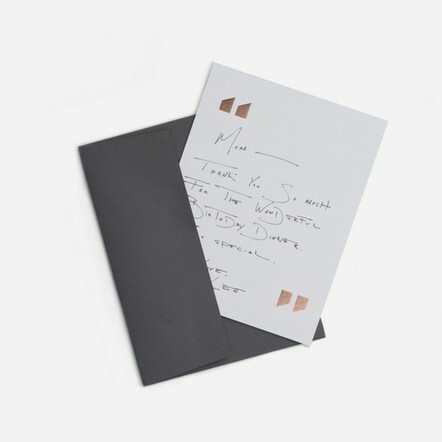 A bit more masculine, these elegant Everlane Shorthand Notecard Set from Paper Chase Press are double thick, uncoated charcoal grey with gold foil stamping. You can personalize your gift or choose from the quotation marks, parentheses, or asterisks sets. So long shoe boxes! 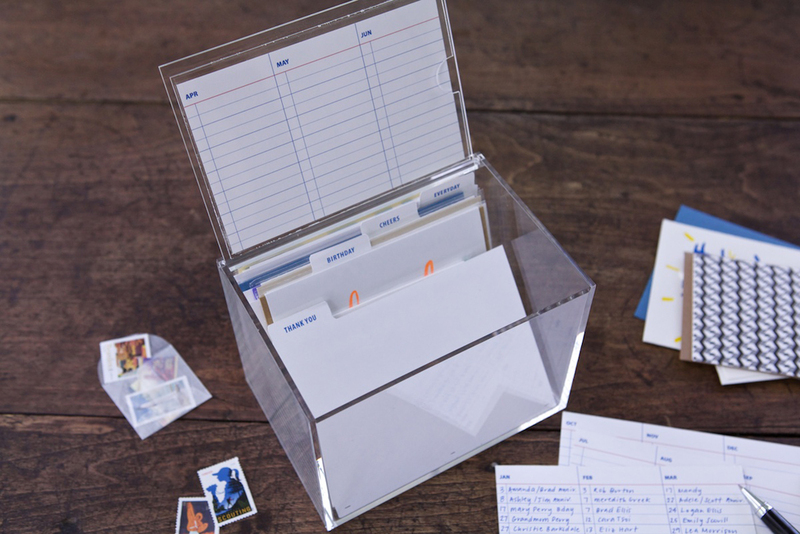 To the friend who hangs on to all their written mementos, this keepsake Letters and Notes Desktop Box from Three Potato Four gives the place of honor each letter deserves. Features an antique patina stain, hand screen painted lettering, and hinged lid with antiqued brass hardware. A stunner to hold your treasures. 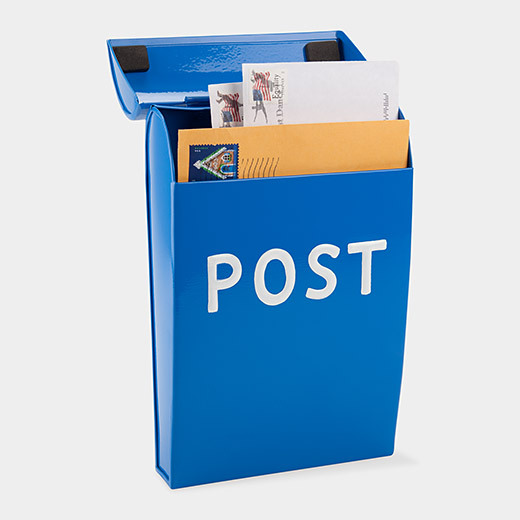 Inspired by an original design from the Stockholm Postal Museum, Santa might be dropping off one of these blue beauties to our kids this year. A perfect destination for all those notes they write back and forth to one another (free Shipping from the MoMA store through today)! 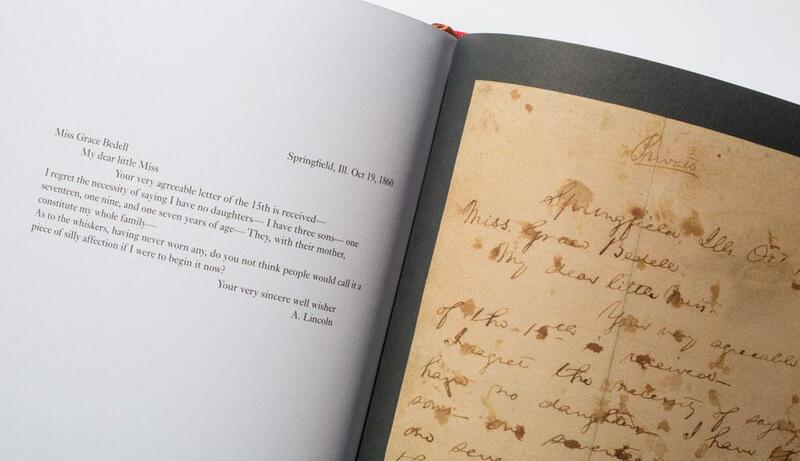 For the historical enthusiast, the Letters of Note book is a thoughtful compilation of letters with human emotion and history on each page. Encountering more moments that are stark than soft, readers can swoop in and out of these fascinating correspondences in this lovely collection. With the need for Thank You’s soon after the holidays, I’d be tickled to find this Lake Card Set from Egg Press Social Preparedness Kit collection under the tree tagged for me! So off you go to pick up some goodies, write a little something and please, keep it simple. Goodness can be found in the smallest packages. By now the multitude of suggested Holiday Gift Lists seen in your Inbox numbers in the thousands, and we’d rather not be more junk email. 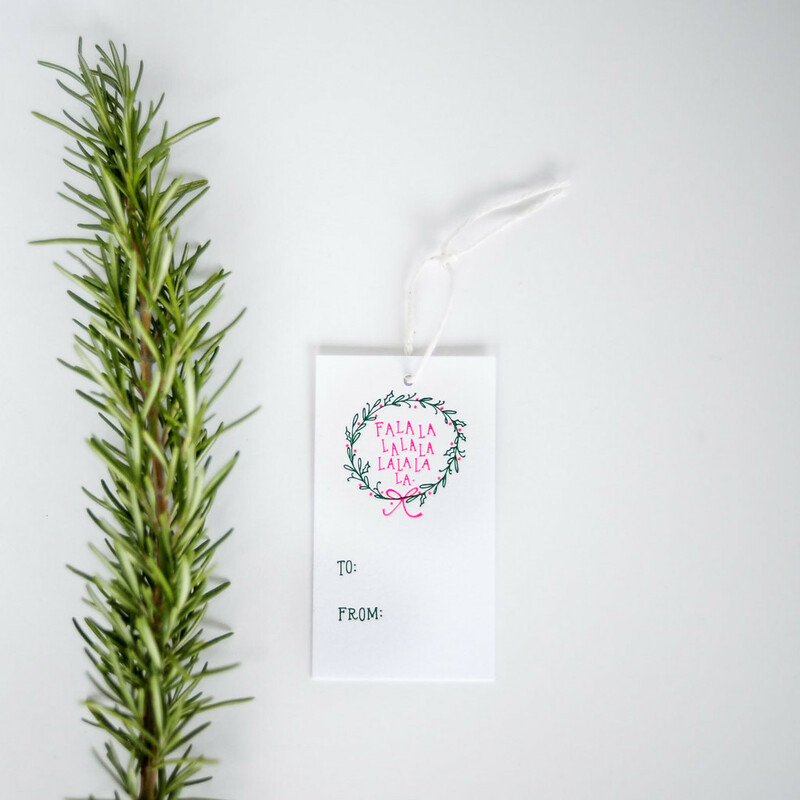 That being the case, we’re keeping it simple with a few short lists of unexpected gifts for the true handwriting enthusiast with the hope to add an extra “HO” rather than “HUM(bug)” into your week. 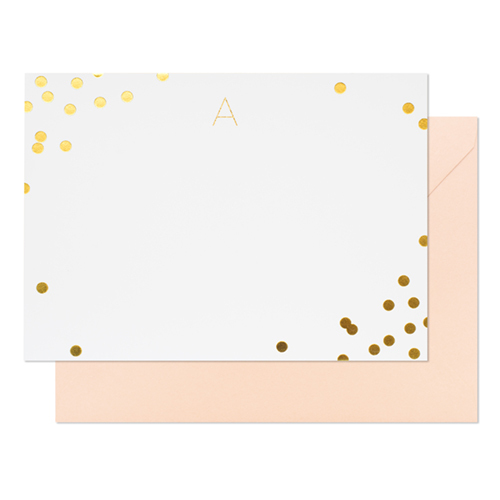 For that Type A sister of yours who handwrites cards for any occasion, we’re guessing she’ll flip over this newly released Card Organizer from Nicely Noted. 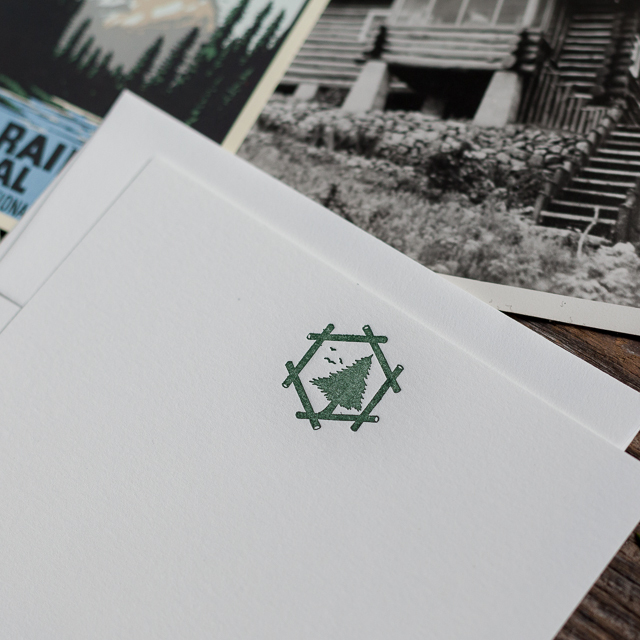 For a bonus, include the Over Stocked option with a bundle of letterpress cards, stamps and a six-month gift subscription of the Nicely Noted monthly care package of cards! 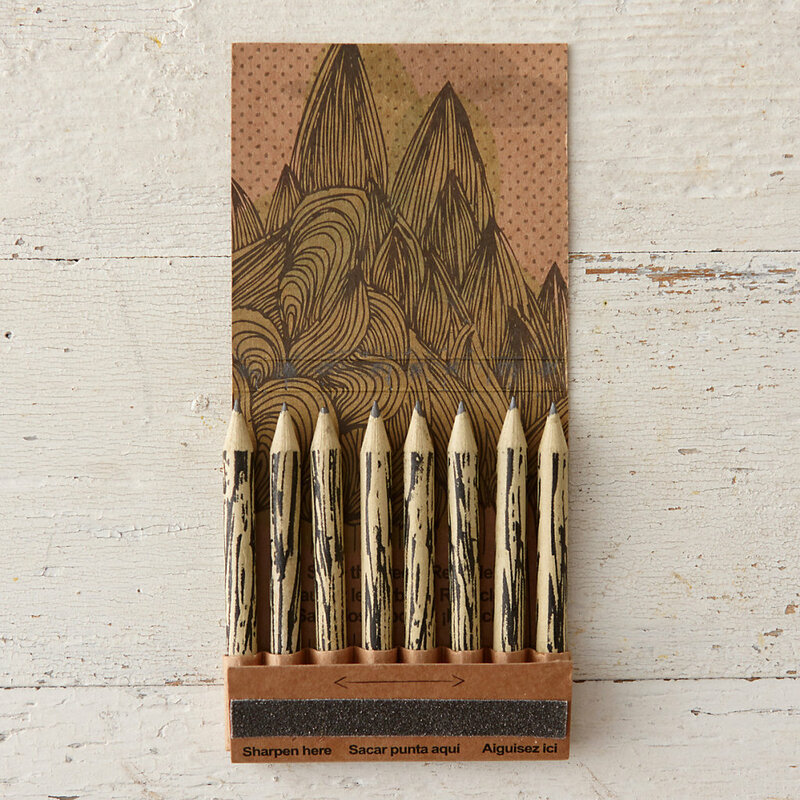 For the “green” family member, grab a packet of these miniature graphite pencils made from eco-friendly recycled paper for a stucking stuffer from terrain (one of my favorite sites). Done and done. Created by a well trained and unique bookbinder, Paul Vogel, these gorgeous desk accessories require around 40 steps to produce and often include 24-karat gold detailing and hand-tooled rosettes. 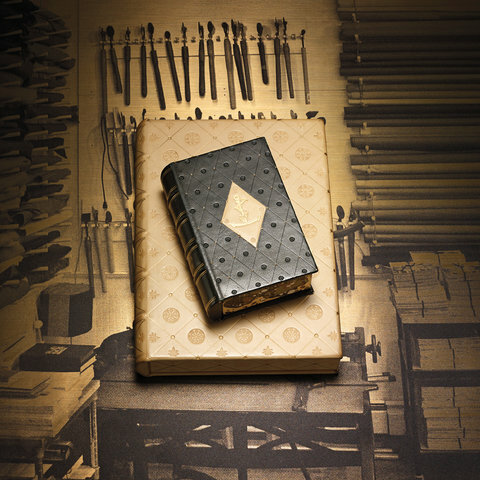 The stationery case and card case will run you a pretty penny but were created by staying true to the traditional bookbinding trade. 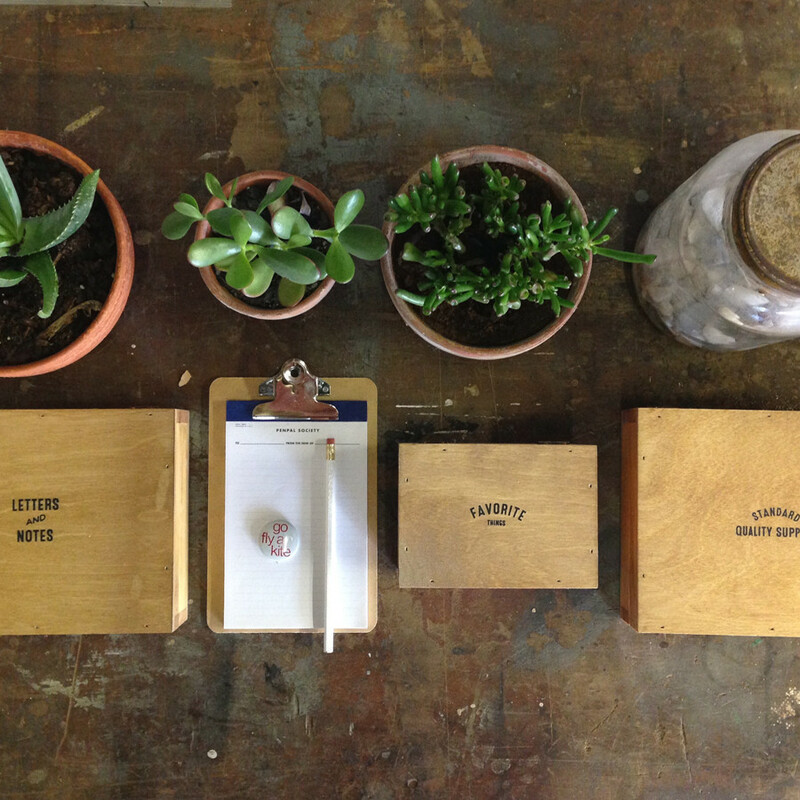 Can be found at Vogel Bindery. And if that’s a bit on the fancy side, the Woodsman Journal filled with blank, kraft paper and letterpress covered, will work nicely when in need of jotting down a recipe or random thought the old fashioned way (thanks to Sesame Letterpress via Provisions by FOOD52, another fav of mine). Being an Instagram user and fan, I love the idea of creating greeting cards with your own personal images for a family member who appreciates your eye. 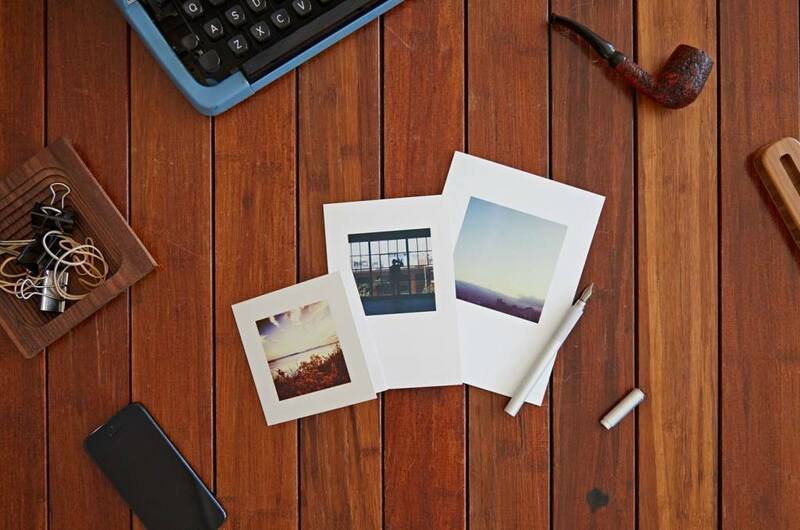 Not only is the process simple, the cards and envelopes from Prinstagram are top quality as well. I’ve been dreaming of Croatia as a destination trip for awhile now. 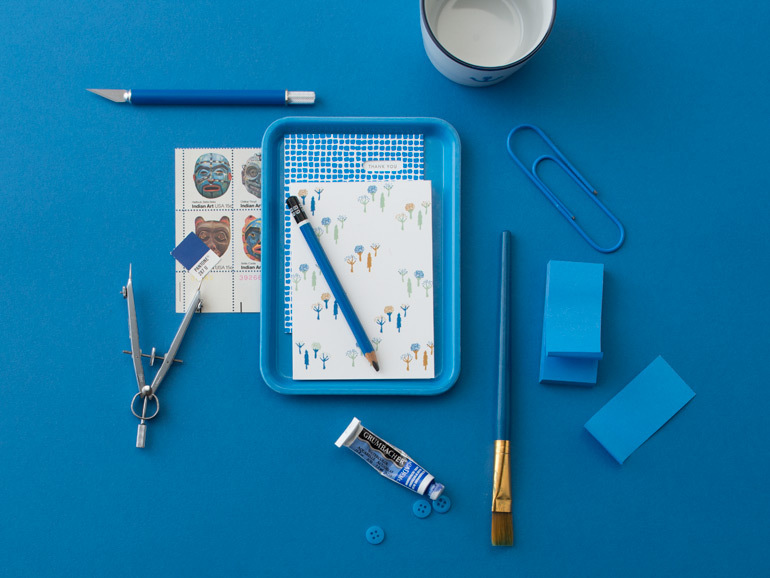 But for the time being, my fellow travelers and I can enjoy these gorgeous, Croatian made paper goods and writing kit from Rad and Hungry, my favorite international office supplies store (free holiday gift wrap ’til Dec. 17). For the highly fashionable friend, gift her these hand-drawn Clare V. (St.Paul native, leather bag goddess) postcard notepads from Paper Chase. Crazy for the double thick, eggshell paper with red colored edges. 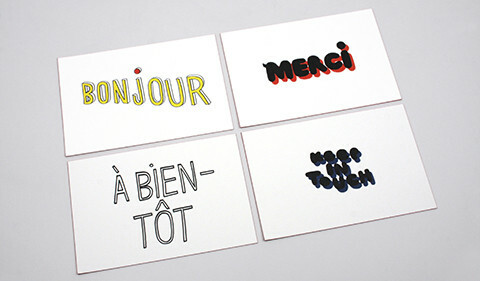 Make it special with personalizing the postcards! One of my favorite new finds, this All-Brass Pen Case from Kaufmann Merchantile is handsomely simple. With its sophisticated design, the Japanese stationer who creates the case has been producing quality office tools since 1950. Fill it with a Kaweco pen or Delfonics pencil from Brown Ink to make the gift complete. Happy shopping…and we’ll be back with another short list soon! Last week flipping channels before going to bed, I came across a show on public television about Magnus Nilsson, a 31 year-old Swedish chef resembling a Scandinavian Paul Bunyan, whose restaurant 400 miles north of Stockholm, Faviken, is considered to be among the best in the world. The restaurant is crazy remote geographically and the food can at times be equally out there; imagine Mr. Bunyan sawing through a large bone, table side, scooping the marrow into a bowl of diced, raw cow’s heart, and covering it all with flower petals. Why the hell not. And then last night I read an article about Daniel Ek, the creator of Spotify, a streaming music service. He’s also a 31 year-old Swede thus making 1983 notable beyond the historic class of NFL quarterbacks, (Elway, Marino, Kelly), the year ‘M*A*S*H’ went off the air, and the peak year of McRib sales. I’ve never used Spotify and I’m sure it makes the world a better place, but after reading the article I paused for a moment and turned a little wistful. You see, Spotify, like so many other inventions and services these days, makes your life easier by removing the effort, thought, and emotional sweat from actually doing something, in this case by selecting music. Based on some complex algorithms it chooses the songs it thinks you’d like or you can listen to a collection of songs curated by someone – usually famous – else. Easy-peasy. 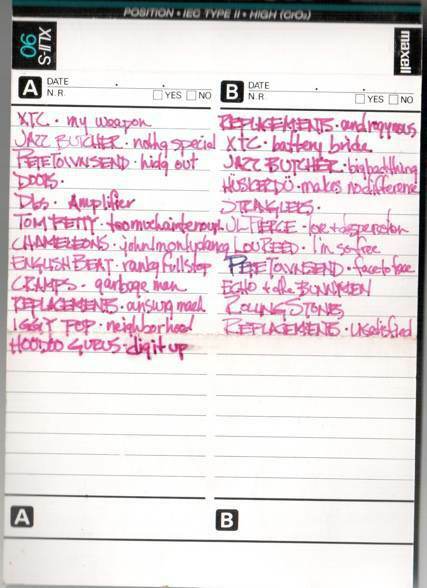 While this may be a time-saver, it made me miss the time thirty years ago when the utmost expression of one’s love/like/interest/crush for someone else was…the…mixtape. Making a mix was serious business. You didn’t just whip off a mix for a friend because you thought they had cool hair or awesome Girbauds. Nope, mixes sat in that special realm of your heart reserved and dedicated (usually) for a person you were “going with”. In the early 80’s a boy and a girl didn’t “date”, rather, they were “going” with each other. This created some confusion such as when, in 1983, I asked a girl “WIll you go with me?” during a movie in Mr. Guelle’s health class. Her response, predictably, was, “Where?”. True story. For starters, it was a challenge to actually construct the damn mix. 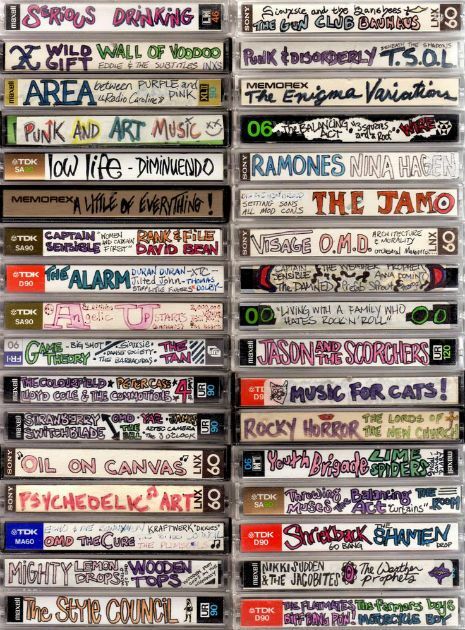 You needed a tape-to-tape player, (hard to find), you needed to nail down the whole pause thing involving how long to space between songs, and more often than not the recording levels were variable from one tape to another which threw a fork in volume levels. And then assuming you could master the mechanics of physically assembling the mix, you were faced with the even more anguishing task of picking the songs and putting a sensible sequencing to the whole shebang; fast/slow, gooshy/dancey, long/short…it was razor’s edge kind of stuff. Maybe ‘ol Ek is onto something. So making a mix tape was a tough slog but the reward outstripped the hardship. The final act of giving the mix to that special someone was immeasurably fulfilling, especially since the receiver knew full well the toll it’d exacted on the giver. It meant something. The topper to the whole thing was examining the giver’s writing – you didn’t even have to open the case! – and see what musical treasures were in store. Maybe the writing had hearts instead of the dot on the “i”, or maybe it was another signature mark, but you knew the writing, unmistakably so, and you knew you were a very happy and lucky person. Well I’m not the world’s most romantic guy, but a couple of weeks ago I made a mix for Wendy the night before we drove to Lake Superior for a 2 night getaway. I did it all on iTunes, populated it with an uncomfortable number of Stephen Bishop songs, and never lifted a pen or pencil during its assembly. As a result, something was not necessarily lost, but something was missing and that was the personal imprint I would’ve given the mix – there was no actual gift to give after all, it was all in the cloud but that’s for another day – if I’d had to write the songs and artists inside the tape case. Instead, while driving north on the Interstate, we were left with admiring the fall colors, talking about our kids but not so much, and wondering what cheesy 80’s song was coming next after the pause. Not bad at all, only different.